Launching a successful email marketing campaign is not simply a matter or writing a few interesting articles, sprinkling in some affiliate advertisements, and sending them zipping into email space. Any email marketing campaign worth its salt has been carefully researched before one word has ever been written. The basic precept is that your message needs to address the needs of the market you are targeting; therefore you need to do your research first in order to get the best return on investment. Getting started with marketing research for your email marketing campaign involves several key steps. Use these to get more from your email marketing strategy. The most important aspect of running a great email marketing campaign is understanding the unique nature of your audience. These are the folks on the receiving end of the email, who in an instant will decide whether to read or delete your message. Try to consider their habits, where they hang out, what they like to read, when and how they digest information before sending out an email blast. This is part of researching the overall reader persona that will make or break your email marketing efforts. Research has consistently shown that keyword choice has a major impact on how responsive readers are to email newsletters and other forms of marketing content. From the sign up landing page copy and the email title to the internal copy included in your email marketing newsletters, you’ll want to make sure you are using the most search engine optimized keywords throughout. Use Google keyword research to get this information in advance. Email marketing campaigns are the perfect opportunity to conduct comparison testing, also sometimes referred to as A/B testing. Create two versions of the same email newsletter and send out to a select number of your subscribers. Note how each group responds and then tweak your email campaign to produce fewer bounces and more opens. After launching a new email marketing campaign, take a moment to check analytical data to uncover more helpful information about your success rate. Look for the number of emails that have been read, the amount of time spent reading them, and the results of the link campaigns you included. Did you get click-throughs to your website or promotions? Did your emails get marked as spam? Use this information to further enhance your email marketing campaigns moving forward. Part of your research as an email marketer is to also study the best practices of other successful marketers. Learn how to write quality content and format your newsletters for optimal performance. Use killer graphics and imagery to make your email marketing “pop”. Sign up for email marketing tutorials through your email distribution service to learn of important updates. This industry is constantly evolving, therefore the more you do your homework, the better you will become at email marketing. 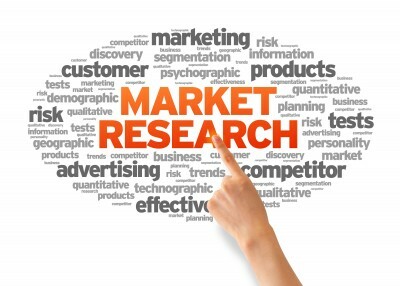 Just as in other forms of online marketing, research is a critical aspect of being more successful. Take the time to carefully study each aspect of this process and you’ll see the results improve over time and practice.